The expectation is that Saturday's MLS Cup final will be about Atlanta United's dynamic attack throwing challenge after challenge at a Portland Timbers team that has ridden committed defending and moments of attacking brilliance into the league's championship match. Led by record-setting Venezuelan striker Josef Martinez, Atlanta scored a league-leading 70 goals in 34 regular-season games (the Timbers scored 54). Atlanta United averages 2.5 goals per game at Mercedes-Benz Stadium, where it has lost only twice in 19 games this season (13-2-4). The Timbers, as Atlanta United coach Gerardo "Tata" Martino notes, are in this final because of their ability to contain the attacks of FC Dallas, Seattle and Sporting Kansas City — and to do it on the road. Martino anticipates his team taking the initiative against the Timbers, as is United's habit in front of a partisan crowd expected to exceed 70,000. For what it's worth, the Timbers battled United to a 1-1 draw there in June before 45,000 fans. Atlanta had 69 percent of the possession, outshot Portland 20-12 (9-4 on goal) and rained 37 crosses into the Timbers' 18-yard box. "They played a back five and were very solid defensively and able to get out on the counterattack and create some chances," Martino says. "They scored one goal but had a number of other chances." Set pieces and counterattacks are Portland's strength, but with Diego Valeri, Sebastian Blanco and Diego Chara, the Timbers have both the skill and the experience to create goals in a variety of ways. In their 3-2 win at Sporting KC last week, both Blanco's tying goal and Valeri's first goal came after extended periods of possession. Blanco's wonder strike came seven passes after an attacking throw-in (won after an extended possession), and Valeri's header finished a wonderful 12-pass sequence that included Jeremy Ebobisse dragging defender Ike Opara out of position and late in the sequence darting behind Opara. "That's why we're here, because we were efficient in some important (attacking) moments," Valeri says. Depending on lineup choices — and the health of center back Larrys Mabiala, who scored Portland's goal at Atlanta in June — Giovanni Savarese's Timbers could have as many as six different field players in the starting lineup this time around. Liam Ridgewell, David Guzman, Jorge Villafana and Andy Polo did not play in that regular-season match. Ebobisse came on as a substitute. For what it's worth, eight of the 10 Atlanta field players who started United's 3-0 first-leg win over the New York Red Bulls in the Eastern Conference championship also started the June match against Portland. The significant addition to Atlanta since then is 23-year-old Argentine midfielder Eric Remedi, who has a goal and assist in four playoff games. • During his seven seasons in Portland, fans kept waiting for Darlington Nagbe's obvious skill on the ball to translate into more goals and assists. Now with Atlanta, Nagbe does not need to carry the attack. He hasn't scored a goal this season and has only three assists. But he has given Atlanta exactly what it wanted when it sent a bunch of allocation money (up to $1.65 million; $950,000 of it this season) to Portland on Dec. 13, 2017. Nagbe is a connector, and the player who can regulate the tempo as needed. "This year, I think, Darlington has served as that pause and that balance for us, helping the team understand when it's time to attack and when it's time to slow things down and build up a little bit," Atlanta's Martino said through a translator. 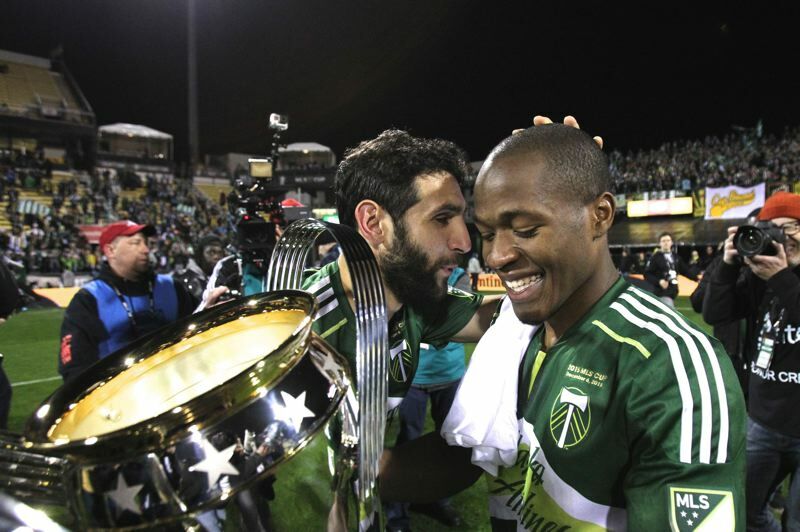 Nagbe's role in keeping possession and transition play from defense to offense was a vital part of Portland's run to the MLS Cup title in 2015. At times, the Timbers miss his ability to dribble out of pressure, but his departure gave Blanco the freedom to flourish. Valeri says it will be weird playing opposite Nagbe. Portland defender Zarek Valentin, who won a college national championship at Akron with Nagbe, expects "a little bit of trash talk, but once we get out there it'll be good competition like it always is with us." Nagbe told the Atlanta Journal-Constitution playing Portland in the final will be "surreal" but that he would have requested last December's trade even if he knew the 2018 Timbers would be playing for a championship. • A club built with a mix of exciting young attackers such as Martinez (MLS-record 31 goals this season), Miguel Almiron (12 goals, 14 assists), veteran defenders Michael Parkhurst and Jeff Lorentowicz and goalkeeper Brad Guzman, Atlanta has used Arthur Blank's fortune to create a new model for MLS success. The second-year club is subject to the MLS salary cap (just above $4 million this season), but has spent big elsewhere. Blank's money built a $30 million training facility and attracted Martino, who has coached the Argentina and Paraguay national teams and FC Barcelona (this will be the veteran coach's last game with Atlanta; he is expected to become coach of Mexico's national team). Atlanta paid hefty transfer fees for players such as Almiron and Martinez and Ezequiel Barco — creating a team capable of winning right away and one that generated excitement in the often-fickle Atlanta market. • The website fivethirtyeight.com gives the Timbers a 23-percent chance of winning. If that sounds like long odds, consider that at the start of the playoffs the site gave Portland a 7 percent chance of reaching the MLS Cup final and a 2 percent chance of winning it. • This will be the best-attended championship match in the 23 years of MLS. The highest was in 2002 at Gillette Stadium as more than 61,000 watched the Los Angeles Galaxy beat New England. • Atlanta United is playing host because it had a better record than Portland during the regular season. The league switched from a neutral-site game to having the higher seed host in 2012. The home team is 4-2 over that stretch, including Portland's win at Columbus in 2015.